In a media-rich world, UBC geography professor Siobhán McPhee is using technology for her students’ advantage. 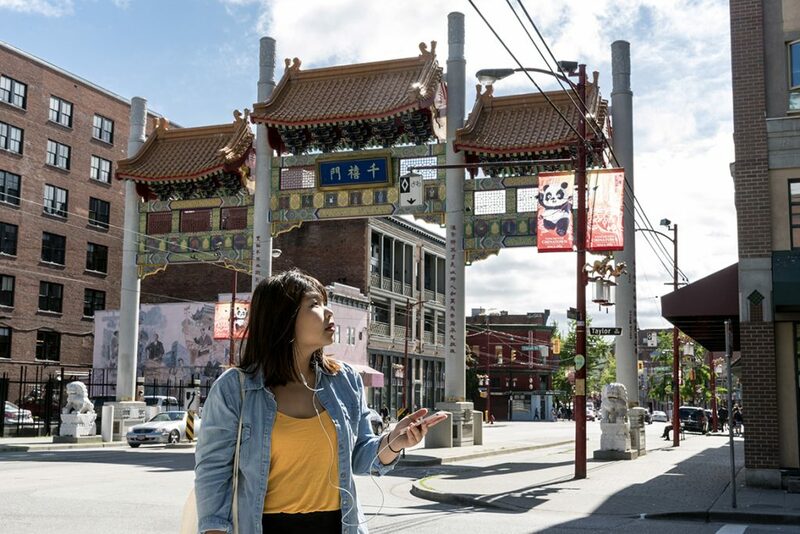 In collaboration with students and the university’s Emerging Media Lab, McPhee developed an app utilizing augmented reality to create an urban history tour of Vancouver’s historic Chinatown and Downtown Eastside neighbourhoods following the influence of the Canadian Pacific Railway in the late 19th century. One of her pedagogical aims, she said, is to mimic the technology students use on their smartphones. Part of that idea, she said, was to expand traditional learning spaces beyond the classroom walls. The app allows students to travel through some of the Vancouver spaces covered in McPhee’s Geography 121 course, Geography, Environment and Globalization. “It makes the urban environment the classroom but also makes everyday life a learning experience,” she said. That’s the nature of the discipline, she said, making open approaches ideal for studying geography in a contemporary context while maintaining relevance for students. Ernielly Leo, one of the app’s student developers, said the app’s use of augmented reality excels in allowing people to learn experientially and at their own pace. Echoing that sentiment, McPhee’s teaching philosophy is inclusive of approaches that make education accessible and relevant to more students. It is one of her missions, she said, to empower students and make them active partners in their learning. This piece was written by Abigail Saxton and was originally published on the Centre for Teaching and Learning Technology website.